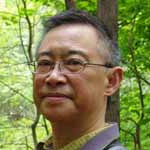 Walter Hang is the founder of Toxics Targeting, an environmental consulting firm in Ithaca, NY that helps people understand toxic sites through New York State. He produces all sorts of data, maps, reports, and publishes research with his team to help engineers, environmental consulting firms, drinking water suppliers, and homebuyers to investigate toxic hazard concerns. Walter and his company were instrumental in the fight to ban fracking from New York State. Plus, Ralph comments on the Mueller Report and Boeing. Nader has it right about the Mueller Report, however, he makes it sound like he saw through this from the beginning and I don’t think anyone did, and if they did they surely got no air time or were saying nothing about it AT THE TIME. That is, the careful framing of the investigation that was bound to end up in a certain determination, or kind of miss the point no matter what, because of the lack of necessity for Trump to do anything to work with Russia. Ralph is right, Trump didn’t have to. But yes, to find intent, which there were actually plenty of media statements to that effect – failing to interview Trump because he is so stupid as to not be able to avoid putting his foot in his mouth and incriminating himself was a Major Mueller mistake. Mueller had some troubling establishment & Republican sympathies in the past as far as Iran-Contra and the Iraq WMD issue. He is the figurative “Earl Warren” role in the Mueller Report … and establishment guy. That could have worked, but for the big difference between Trump-gate, so to speak, and Watergate. I am referring to how in Watergate there was a highly placed patriotic American in the FBI, Mark Felt who was keeping things honest in the FBI by leaking to the press. No such luck with the Mueller investigation, in fact it seems to have worked out like a well laid out plan. That is there was absolute quiet from Mueller’s office and no one leaking anything to the media, all the while the media every time they mentioned Mueller they averted their gazes in awe and talked about what an non-partisan great guy he was. Clearly the echo chamber canonization of Mueller was the equivalent of totalitarian propaganda where it was “established” that Mueller was un-criticizeable. Then finally, after however many millions of dollars and all that time he does not make specific recommendations, leaving it up to Congress to prosecute. Clearly it is obvious that Congress would have to prosecute, but his job was to lend his expertise as a prosecutor even if Congress did not take his advice. The problem is that if he had said that in his opinion Trump should be charged, if the Congress did not act on that it would get them all fired, and Mueller not wanting to be remembered in history for destroying a Republican Presidency, punted. What a louse, and that would be long with all the rest of the FBI investigators and most of the media who were complicit in this public rope-a-doping. It is very doubtful American can extricate itself from a corrupt system so cancer-ridden with corruption that even the cancer has cancer, and there is no doctor or surgeon at this level. What is necessary to do to will not get done, but we don’t care, we take pride in being the country that bickers and argues about having free speech the most, but doesn’t know what to do with it, and ends up doing nothing. I did little looking around based on Ralph’s attacks on Boeing in favor of Airbus. * Boeing has more flights between crashes. There is another statistic called Full Loss Event (FLE), which is the proportion of people killed in a plane crash. * meaning that you have almost exactly the same chance of getting killed in either Airbus or Boeing. Those are fascinating stats. It says that if Boeing hadn’t had something so obviously wrong that things could go unnoticed or that Airbus might have issues going unnoticed. But when a specific model airliner goes down three times in a short span it says something more than the manufacturer’s long term safety record. There is a problem with this specific liner that was slow to be addressed. I agree with you Thomas, but I posted that to point out the counter of what I thought was an attack singling out Boeing as being particularly egregious or reckless institutionally, over the long term. My understanding is that the whole story is not in, so, yes, unconditional criticism of Boeing based on just what you said, long term safety record, would be unwarranted at this point. > if Boeing hadn’t had something so obviously wrong that things could go unnoticed or that Airbus might have issues going unnoticed. Yeah, I think it would be called the state of the art. A lot of good ideas and rules for safety have come from the airline protocols and studies, and have been written about by Atul Gawande in some of his books, like “Checklist Manifesto”. That the airline industry can improve there is no doubt but does it need to be demonized? My dearest Ralph Nader: I have loved your work since I was teen living in a Republican household. As a teen, I became enthralled with Nader’s Raiders, and I’ve followed you ever since. You are a most important resource and I am so very grateful for all you do! In retrospect and with a great deal of sadness, the NBC’s, CBS’s, and ABC’s have changed so drastically since the Vietnam war that we are woefully ignorant. I so appreciate your determination and thank you so much!!! I will need to listen to this program 10x. The amount of information, where this information can be found & mapping it shows great organization. Plus, understanding FRACKING can be catalyze by water or petroleum is a necessary detail to cover. to buy is affected by toxity !! to the balancing & stabilizing tail. obviously doomed to fail. Sloppy Work, Boeing. Working with this business model seems like an ideal employment for post grads with research experience in chemical/biological assays, or just an analytical or software background. Probably more fun than a run of the mill Post-Doc position too!